Here at Washington Catholic Schools, we offer a variety of sports during the school calendar year. Please contact our Athletic Director, John Howell, with questions or comments at (812) 254-2050 or jhowell@evdio.org. 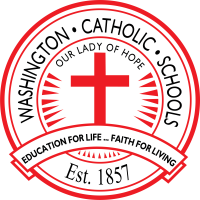 ©2019 Washington Catholic Schools All Rights Reserved.